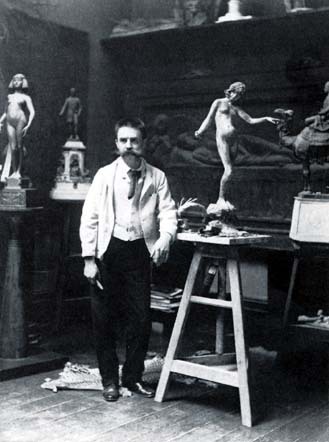 Ford in his studio: A photograph and a painting by his son. [Click on thumbnails to enlarge them. Born in Islington. Studied Antwerp and Munich, 1870-72. 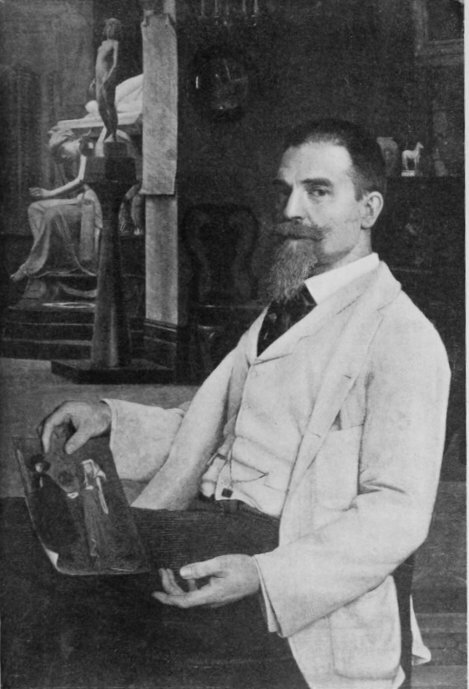 On return to London established himself as portrait sculptor and exhibited at R.A. from 1875 and at the Grosvenor Gallery from 1879. 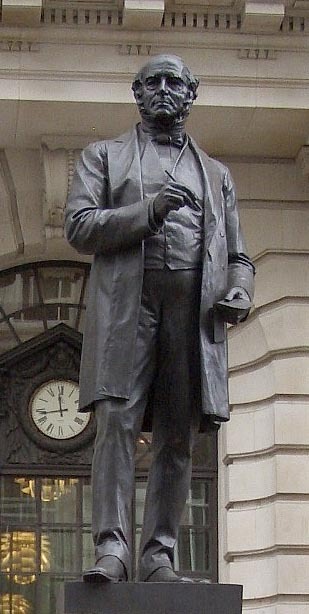 Won competition for statue of Rowland Hill, 1882. Other works include: "Irving as Hamlet", 1883; series of bronze statuettes (including "Folly"), 1886; monument to General Gordon, 1890; Thc Shelley Memorial in Oxford, 1892; The Jowett Memorial, Oxford, 1897. Adopted polychromy and was one of the leaders with Gilbert and Hamo Thornycroft of the New Sculpture. General C. E. Gordon, R. E. M.
Baldry, A. L. "The Art of 1900." The Studio. 20 (1900): 10. 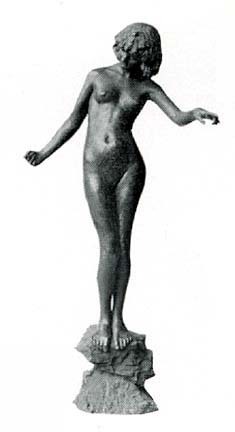 British Sculpture 1850-1914. A loan exhibition of sculpture and medals sponsored by The Victorian Society. London: Fine Art Society, 1968. Read, Benedict. Victorian Sculpture. New Haven: Yale University Press, 1982.